If you’re a little confused right now, we don’t blame you. 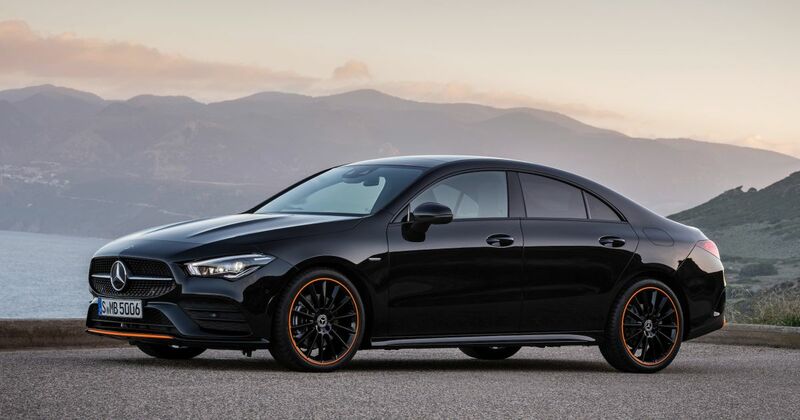 Mercedes did indeed reveal an A-Class saloon last year, but this isn’t it. Nope, it’s the all-new CLA, which is - despite Mercedes’ claims of it being a coupe - is also effectively an A-Class saloon. So it’s now even more of a niche proposition than the first-generation model. But it is certainly a more elegant-looking thing than the A-Class saloon, and much better proportioned than the outgoing model to our eyes. 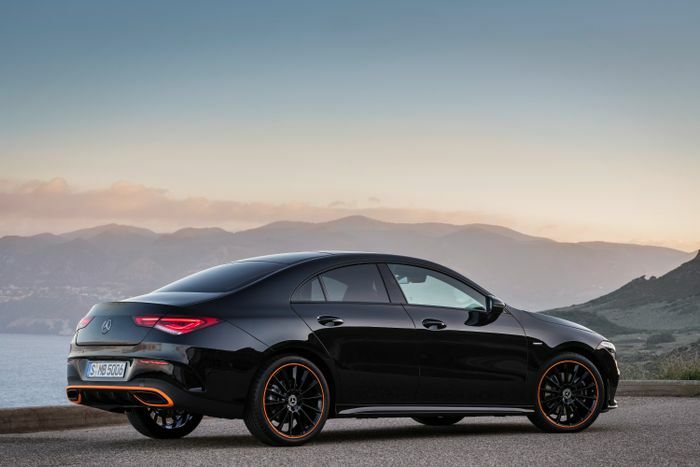 It’s like someone stuck a downsized CLS rear-end onto an A-Class hatch, and that’s no bad thing. It should be better to drive than the old one, too. The track widths have been increased by 63mm at the front and 55mm rear, and the centre of gravity is lower than before. The anti-roll bar is fatter, and if you want, you can spec adaptive dampers. As well as being wider than before, the car is also longer and ever-so-slightly lower. The boot opening is bigger, but at 460 litres, the boot capacity has dropped by 10 litres. Boo. The inside is all as-per the A-Class, and again, we aren’t going to grumble. The highlight of the cabin is the twin-screen setup of the new MBUX infotainment system, which includes fancy features like augmented reality navigation and voice control. Anything here you don’t get in the A-Class? Well, other than a new gesture control system which will - among other things - automatically turn on a light when you reach over to the empty front passenger seat, not much. 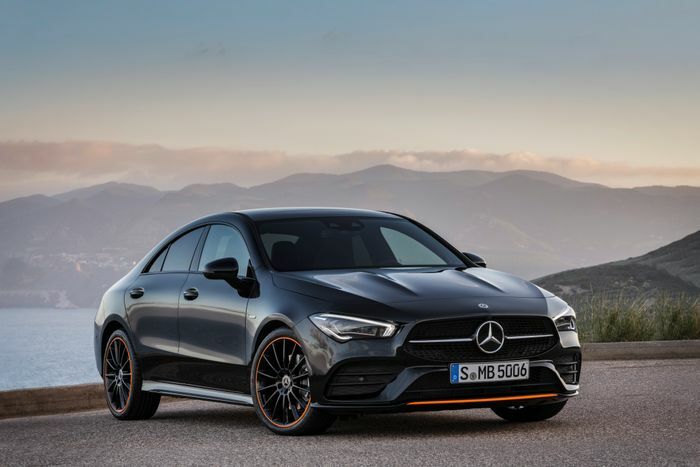 Unlike the A-Class saloon, which is only available as an A220, the CLA is set to receive AMG A35 and A45 derivatives. 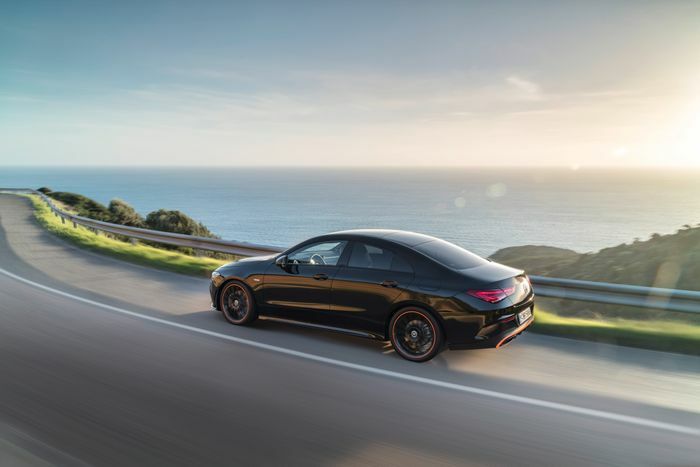 The car you see here is the CLA 250, which is powered by a 2.0-litre inline-four turbo engine sending its power through a seven-speed dual-clutch gearbox. When the car is launched in May, there’ll be a full complement of petrol and diesel engines to choose from, a choice of automatic or manual gearboxes and the option of a ‘4Matic’ four-wheel drive system.